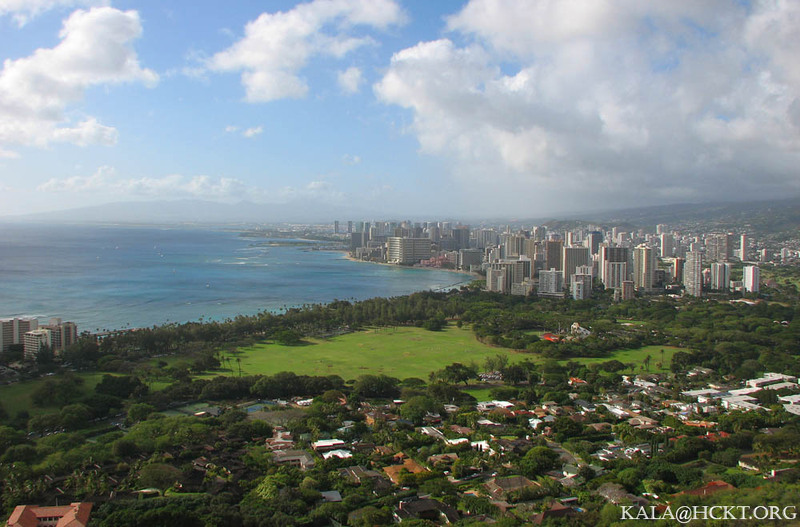 I don' t get to enjoy too many moments of "quiet" where I live at, so occasionally, I'll take a stroll through Kapiolani Park in Waikiki to refresh my memory and breathe in the "quiet." 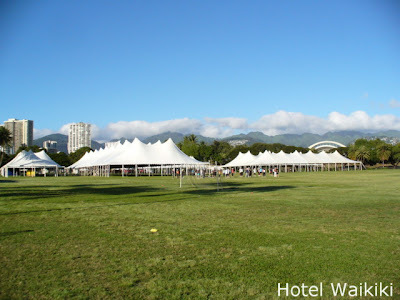 The tents in the photo are for this Sunday's Honolulu Marathon. Btw, did you get to hear parts of Obama's Nobel Prize acceptance speech. There's no question that Obama is not the most worthy person on the planet to receive the peace prize, especially as a commander-in-chief in charge of 2 ongoing wars. However, the local boy showed a tremendous amount of humility and aloha in accepting the Peace Prize. I thought it was his finest moment so far. 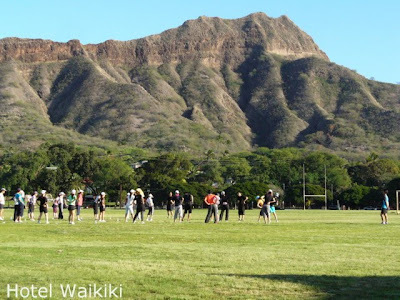 There probably isn't too many places as scenic to do stretching exercises and calisthenics in preparation for the Honolulu Marathon as there is in the middle of Kapiolani Park below the promontory of Diamond Head crater. And on top of dat, the City and County been make sure that the park workers mowed the grass and raked the park. I love the park too. Cloudia- we all do, us Waikiki people, moreso those whom have lived here for milleniums. You pretty much can recognize each other.